It’s been quite some time again since I’ve posted any recipes, but I’ve been trying to get back into the swing of things with the new academic year, despite it being very busy so far. I recently ate at the Trading Post Railway Carriage in Lopen (complete with new double decker bus seating area!) 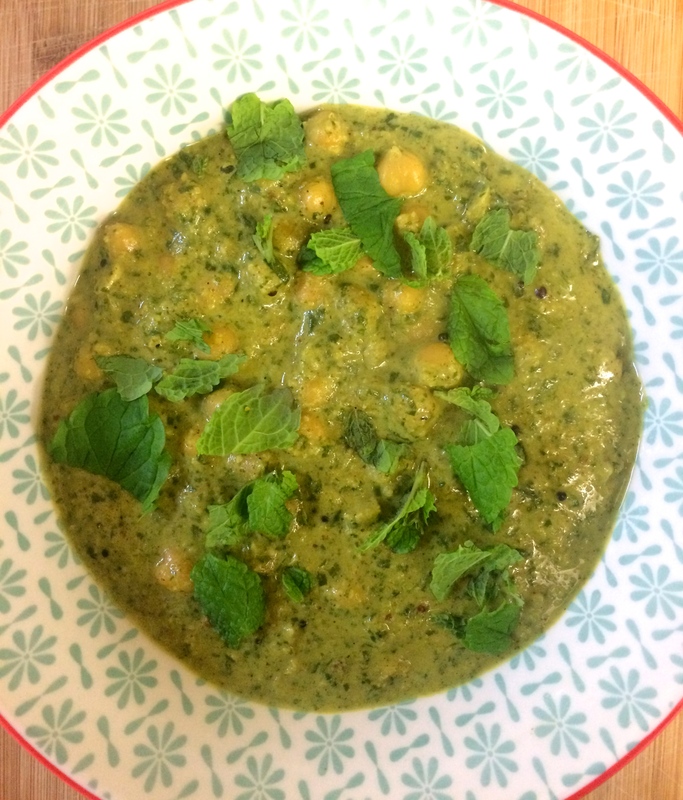 whilst at home in Somerset and I tasted their delicious chickpea and coconut curry and was determined to recreate it at home, as it was absolutely delicious. I loved using ground almonds in the base of this curry, I feel like it really enhances the nutty flavour of the coconut milk and soaks up the spices wonderfully. I usually make dishes like this curry in big batches and freeze, so this particular recipe serves four, or one with three portions to spare for later on in the week! Heat the oil in a frying pan on a medium heat until shimmering but not smoking, add the mustard seeds and wait until they are popping. Add the onion and soften, then add the garlic, ginger and chilli. Fry until soft and translucent but not too brown. If the onions are sticking add a small amount of water to the pan. 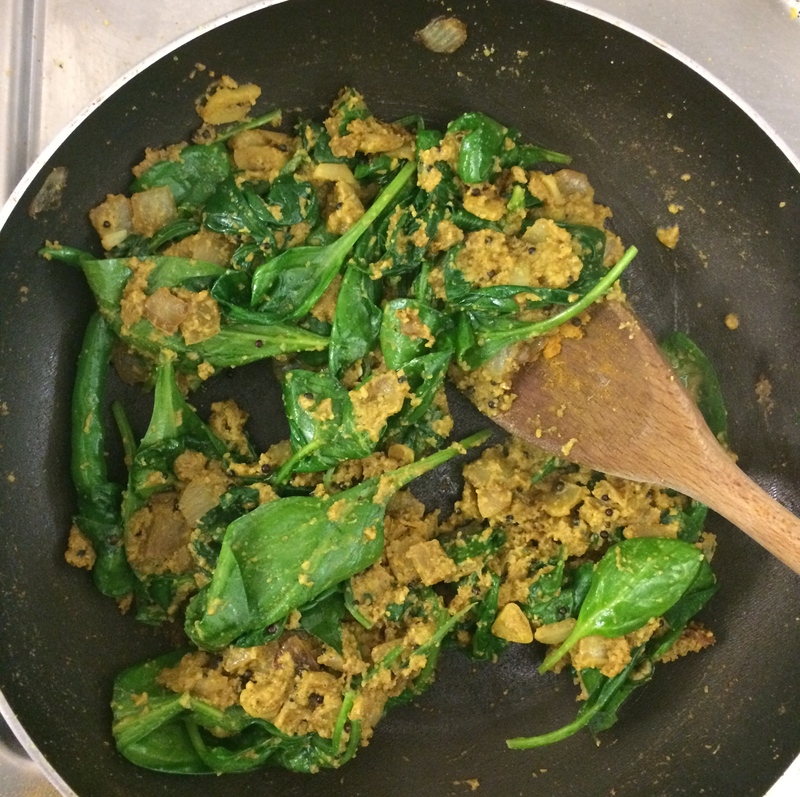 Add the curry leaves, garam masala, turmeric, ground almonds, salt, pepper and spinach. You can usually find fresh curry leaves in any Asian supermarket or most open air markets. 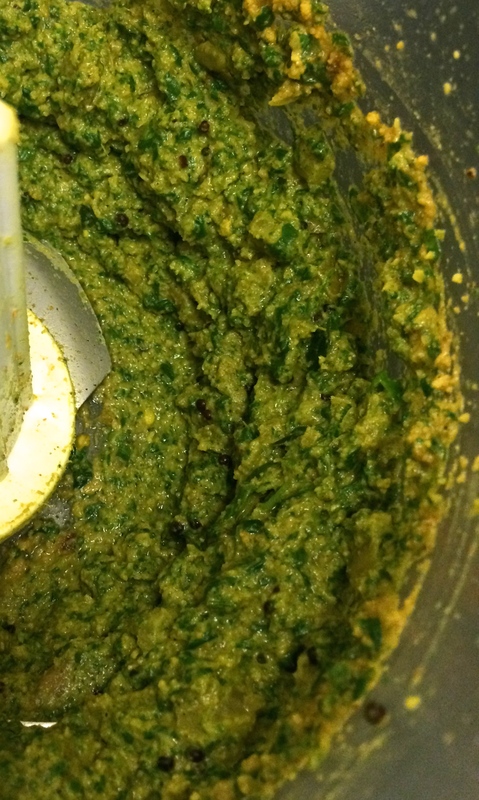 Stir until the spinach is wilted and the onions are fragrant with the spices. Use a processor or stick blender to blend the mixture into a paste- if you don’t have either of these pieces of kit then use the back of a fork to mash as best you can. If the mixture is too stiff add a little bit of water. Using the same frying pan, add the paste and heat through. Then add the chickpeas and cook for a few minutes before adding the coconut milk and stirring until combined. 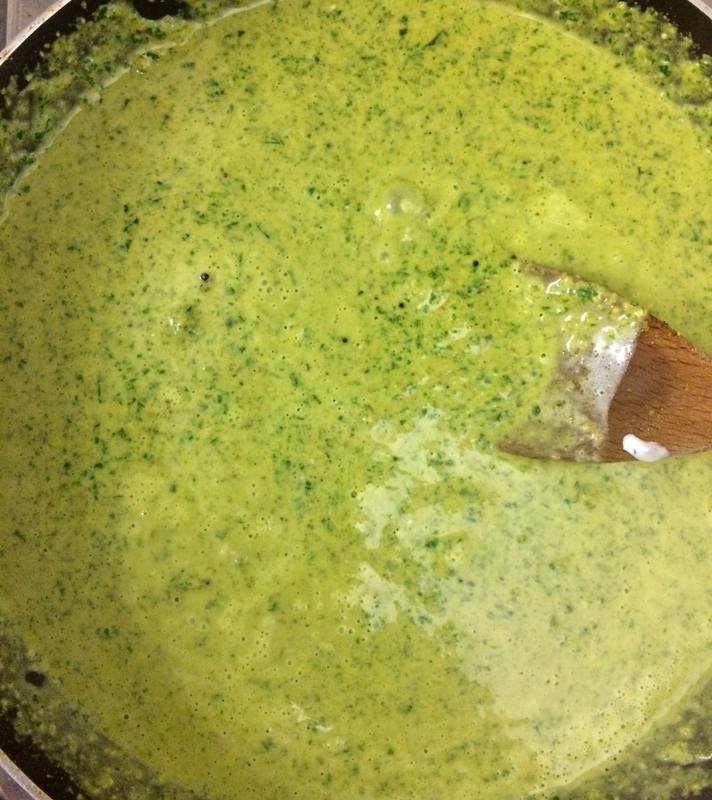 Take the lid off to season and cook until the coconut milk has reduced to a thick creamy coating for the chickpeas. Serve with rice, chapattis and whatever sides you enjoy.